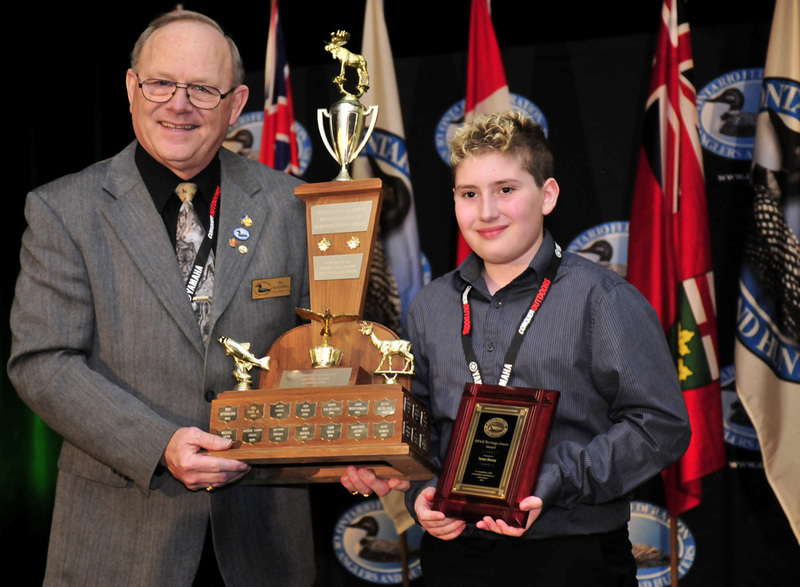 The OFAH Heritage Junior Award was first presented in 1987 and honors the young person who has made the most outstanding contribution to conservation over the past year. Tynan Storey is a member of the Barrie District Hunters and Anglers ConservationClub. He is on the environmental team at school, but his work with the Barrie youth club is what led to his winning of the award. He has built deer feeders, tapped maple syrup trees, participated in the roadside cleanup, and helped identify and label trees on club property. With the club, he has helped maintain their vegetable garden, which produced 200 pounds of fresh vegetables that were given to four local shelters.He also learned what it takes to run a successful hatchery and helped clean up at the Georgian Triangle Anglers Association hatchery.